5 CAN WOMEN TAKE PRIMOBOLAN? 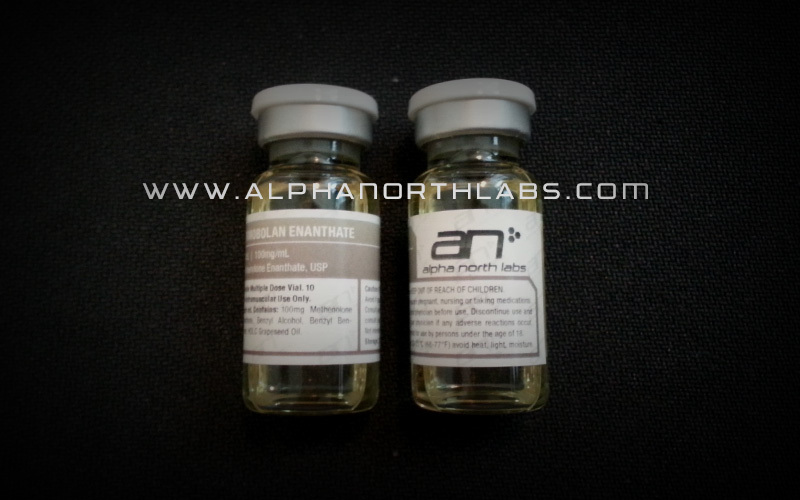 Buy Primobolan Acetate in Canada for an affordable price. The oral Primobolan® preparation contains the drug methenolone acetate. It is very similar in action to the injectable Primobolan (methenolone enanthate), but obviously here the drug is designed for oral administration. At one time Schering was in fact also manufacturing an injectable methenolone acetate (Primobolan® acetate, out of manufacture since 1993), which proved to be very useful for pre-contest cutting purposes. This steroid is now gravely missed, as it was once a favorite among European competitors. Although we still have the acetate in oral form, it is a close, but not equal substitute (injection is a much more efficient form of delivery for this steroid). Methenolone regardless of the ester is a very mild anabolic steroid. The androgenic activity of this compound is considerably low, as are its anabolic properties. One should not expect to achieve great gains in muscle mass with this drug. Instead, Primobolan® is utilized when the athlete has a specific need for a mild anabolic agent, most notably in cutting phases of training. It is also a drug of choice when side effects are a concern. A welcome factor is that Primobolan® is not c17 alpha alkylated as most oral steroid are. Due to the absence of such an alteration, this compound is one of the few commercially produced oral steroids that is not notably stressful to the liver. While liver enzymes values have been affected by this drug in some rare instances, actual damage due to use of this substance is not a documented problem. Unfortunately the 1 alkylation and 17-beta esterification of Primobolan® do not protect the compound very well during first pass however, so much of your initial dose will not make circulation. This is obviously why we need such high daily dose with the oral version of Primobolan®. Primobolan® will also not aromatize, so estrogen related side effects are of no concern. This is very useful when leading up to a bodybuilding contest, as subcutaneous water retention (due to estrogen) can seriously lessen the look of hardness and definition to the muscles. Non-aromatizing steroids are therefore indispensable to the competitor, helping to bring about a tight, solid build the weeks leading up to a show. And of course without excess estrogen there is little chance of the athlete developing gynecomastia. Likewise there should never be a need for antiestrogen use with this steroid. Primobolan® is also said to have a low impact on endogenous testosterone production. Although this may well be true in small clinical doses, it will not hold true for the bodybuilder. For example, in one stud more than half of the patients receiving only 30-45 mg noted a suppression of gonadotropin levels of 15% to 65% a. This is a dose far less than most bodybuilders would use, and no doubt increasing it would only lead to worse suppression. One would therefore still need a testosterone stimulating drug like HCG or Clomid®/Nolvadex® when concluding a low-dose Primobolan® cycle, unless a deliberately small dose were being used. Methenolone is utilized to treat individuals suffering from conditions in which muscle wasting and severe weight loss is a symptom. Other uses include: an immunostimulant for individuals fighting infections, wasting conditions, an adjunct to countering the effects of prolonged corticosteroid therapy, and the treatment of osteoporosis as well as sarcopenia (the loss of muscle as correlated with aging). It is also important to note that although the androgenic component of Primobolan® is low, side effects are still possible. One may therefore notice oily skin, acne and facial/body hair growth during treatment. Men with a predisposition for hair loss may also find it exacerbates this condition, and wish to avoid this item (nandrolone injectables are a much better choice). While always possible, side effects rarely reach a point where they interfere with the progress of cycle. Primobolan® is clearly one of the milder and safer oral steroids in production. Female athletes, older or more sensitive individuals and steroid beginners will no doubt find this a comfortable steroid to experiment with. The dosage for men is somewhere in the range of 75-150mg daily. This can obviously be tedious (and costly) if one can only obtain the 5mg tablets from Mexico and S. America. 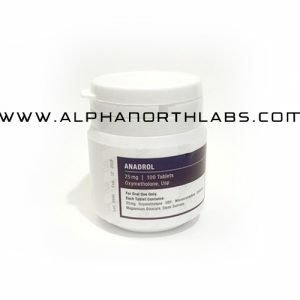 A mild anabolic such as Primobolan® is often used in conjunction with other steroids for optimal effect, so some users find a slightly lower dose effective when stacking. 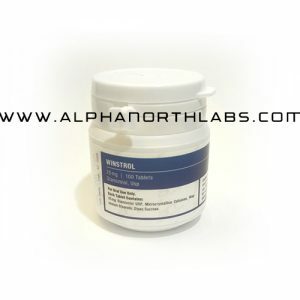 During a dieting or cutting phase, thought to be its primary application, a non-aromatizing androgen like Halotestin® or trenbolone can be added for example. Such combinations would enhance the physique without water retention, and help bring out a harder and more defined look of muscularity. Non-aromatizing androgen/anabolic stacks like this are in fact very popular among competing bodybuilders, as they prove to be Anabolics 2002 quite reliable for rapidly improving the contest form. This compound is also occasionally used with more potent androgens during bulking phases of training. The addition of testosterone, Dianabol or Anadrol 50® would prove effective for instance, although the gains are likely to be accompanied by some level of smoothness due to the added estrogenic component. Among women, Primobolan® is one of the most popular steroids in use. At a dosage of 50-75mg daily, virilization symptoms are extremely uncommon. One would of course not expect a tremendous amount of muscle mass with this drug, and instead should expect a slow and steady (quality) increase. Some women choose to further add-in other anabolics such as Winstrol® or oxandrolone, in an effort to increase the muscle building effectiveness of a cycle. While both of these compounds are quite tolerable to women, one must be sure not to use too high an accumulated dosage. Troublesome androgenic side effects are always a possibility with steroid use, even with very mild substances. Taken at too high a dosage, these weak anabolics can become a formidable danger to femininity. It would therefore be the best advice not to use the normal dosage range of both, but instead start with a much lower dosage of each steroid to compensate for the other. On the black market Primobolan® orals are popular, but still much less commonly found than the injectable. This is due to the higher cost effectiveness of the injectable, which uses the same active compound but with 100% bioavailability due to the form of administration. When found however the tablets can usually be trusted, provided they are not the 50mg version (discussed below). The price for a single 5mg tablet can be as high as $1 on the US black market, clearly a high expense as the dosage exceeds 100mg daily. The 25mg tabs are much more cost effective when available, priced about 2-3 times higher than the 5mg version but obviously providing five times the volume of drug.